The base registration fee for this competition is £14.95 (British Pound). Make sure to register and pay for the competition to be accepted. If registration is full by the time you pay you will be on the waiting list. If you do not make the competitor list by the time the competition happens then you will get a full refund. If you can no longer attend, let us know as soon as possible through the contact link on the General Info page. We often have waiting lists so letting us know you cannot attend allows us to add another person to the competition. By not telling us you are denying someone a chance to compete. If you inform us you are no longer attending and registration is still open, we will issue a full refund. If registration is closed we will offer a 50% refund. If you do not tell us you are not attending then you will receive no refund. If you have any problems check out the FAQ, or feel free to contact us. You are viewing the schedule for the venue Oasis Academy, MediaCity UK. The schedule is displayed in the timezone Europe/London. All competitions in the UK are run by the UKCA with the help of our many organisers from all over the country. We have organised over 40 competitions in the UK and have also helped run competitions over in Ireland to help their community grow. Our delegates have over 200 combined competitions of experience with many more to come. 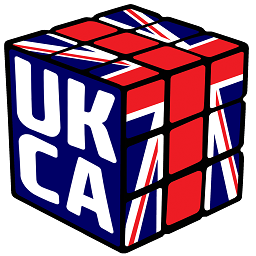 Make sure to subscribe to our mailing list on the UKCA website for all up to date information on UK competitions. And follow our social media pages to keep up to date with the latest content and media! A: As long as registration is still open, yes you are allowed to change events. Email us at the contact link on the General Info page with the events you would like to change. If registration is closed then please do not email us with event changes. If at the competition you decide that you do not want to compete in an event, come up to the scramble table when your group is called and simply tell the scramblers that you are not going to compete. A: The first thing you need to do is tell us as soon as you know via the contact link on the General Info page. Competitions generally fill up quite quickly and letting us know that you can't attend means we can add someone from the waiting list. Q: If I do not attend do I get a refund? A: If you inform us you are no longer attending and registration is still open, we will issue a full refund. If registration is closed we will offer a 50% refund. If you do not tell us you are not attending then you will receive no refund. A: Spectating this competition will be free for everyone. A: If you are a new competitor, we highly recommend that you show up for the introduction to competing which is held as the first thing on both days. Otherwise, we recommend you turn up at least 15 minutes before your first event, you can check when this is on the Schedule tab. This will give you enough time to register, find a seat, and warm-up. A: The first thing you do when you arrive is find the registration desk if registration is open. If you arrive before registration opens, we will make an announcement as to when it does open. If there is nobody present at the registration desk then find a staff member and we will make sure to register you. A: You are more than welcome to leave whenever you want. If you have no more events left then you are not required to stay. A: All the results will be found on this page a couple of days after the competition, once they have all been checked and uploaded. If you are looking for live results, they can all be found on the Live Results tab. This competition is being graciously sponsored by UK Cube Store, one of the best places in the UK to get speedcubes and twisty puzzles. They are providing trophies, medals and gift cards to the store to all the podium finishers! UK Cube Store will be running a stall at the competition as well so that you can buy puzzles all throughout the weekend as well. If you have any questions, we recommend that you check the FAQ in case it has been asked before. But you are more than welcome to contact us at the link on the General Info page. We also recommend you check out the UKCA tab to sign up to our mailing list for announcements of future competitions, among other things. However, if you are competing in an event then you are expected to help judge for that event. Obviously you need time to warm-up so we would really appreciate if you can help out the group immediately following the one you compete in. For example, if you are competing in group 2, please help to judge for group 3, etc. If there are only 2 groups, you would be expected to help for the other group. The venue is located in Salford near Trafford. The venue itself is fairly accessible through different means of transport. Car: The postcode should point you towards the venue. However, sometimes it doesn't gets you to the car park. To get to the car park, you have to turn left to Broadway and there's a gate that leads you to the car park. Please buzz for entry. Train: The closest main train station is Manchester Piccadilly station. From there, you can take the Metrolink tram line 7(towards MediaCity UK) or 3(towards Eccles) and get off at Anchorage. The venue is about 5 to 10 minutes walk from Anchorage tram stop. If you're returning to Manchester Piccadilly at the end of the day, it is cheaper to get the return tram ticket. Plane: The closest airport is Manchester(MAN). You can take the train station or tram to Manchester Piccadilly and take the tram to Anchorage. Coach: The main coach station is Manchester Chorlton Street. You can walk to Piccadilly Gardens and take the tram to Anchorage. Alternatively, you can also take the coach to Salford(For Quays) and the venue is less than 10 minutes walk. Bus: You can take bus route 33 from Piccadilly Gardens Stop P and get off at Howard Street. The venue is less than 10 minutes walk from the bus stop. There's a number of hotel chains in Central Manchester and there's a Travelodge just nearby the venue. Each event is run in groups, depending on how many people are competing in the event depends on how many groups there are. We call each group up one at a time in order to complete their solves during the scheduled time for the round. We have software that automatically picks what groups you are in, the judges, and who scrambles for each group. This is the minimum amount you should be helping out as it only is for first rounds. We always appreciate extra help! Please note down which groups you are competing and scrambling in before arriving at the competition! Live results at the competition are provided courtesy of Cubecomps. Please note that the results may not be entered immediately. It is important that the competition is running smoothly before we can enter data. Sometimes there might be a delay of up to an hour before the results for a round are entered.